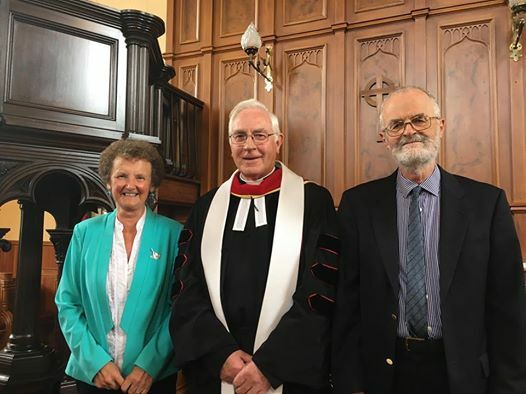 At the Presbytery meeting in Inveraray on 5th June, Red Dr Roderick Campbell was installed as the Moderator of Argyll Presbytery for 2018-2019. He is seen in the centre in the photo, with Ms Marilyn Shedden, Business Committee Convenor, and Dr Chris Brett, Presbytery Clerk. Dr Campbell is the Minister of West Lochfyneside, where he has been Minister for over two years, after returning to Argyll from St Andrew’s Scots Kirk, Colombo.